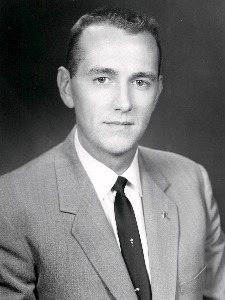 John "Jack" Willard Schlegel, 85, of Orlando, passed away on April 30, 2015. He was born on May 8, 1929, in Lima, Ohio to Arden and Hazel (Renner) Schlegel. Jack was a member of the Scottish Rite Masons. He was a veteran of the United States Air Force and served his country during the Korean War. He was a graduate of Kemper Military Academy, Purdue University, and Harvard Business School. On May 7, 1952 he married Marjorie (Smith) Schlegel. Marjorie and Jack lived in Orlando, Florida. Jack is survived by his loving Wife, Marjorie; Two Daughters, Karen Gottwald, Katherine Reynolds; Son, John Curtis Schlegel; Brother, William Schlegel; Grandson, Dustin Reynolds; Two Granddaughters, Angela Schlegel, Valerie Schlegel; Son-in-law, Timothy Gottwald. He was preceded in death by his Father, Arden Walter Schlegel, Mother, Hazel Ethel Schlegel, and Sister, Ruthanne Burton. In lieu of flowers, the family requests that donations be made to the American Lung Association at 1-800-LUNGUSA. Add your memories to the guest book of John Willard Schlegel. Marge, Kathy, Karen, And Curt---Our family admired Uncle Jack, and we so appreciated him being such a kind and caring big brother to Dad the past several years during his illnesses. His weekly phone calls meant the world to Dad. We are grieving with you and for you all. God be near you and bring comfort and peace to you. We love you.